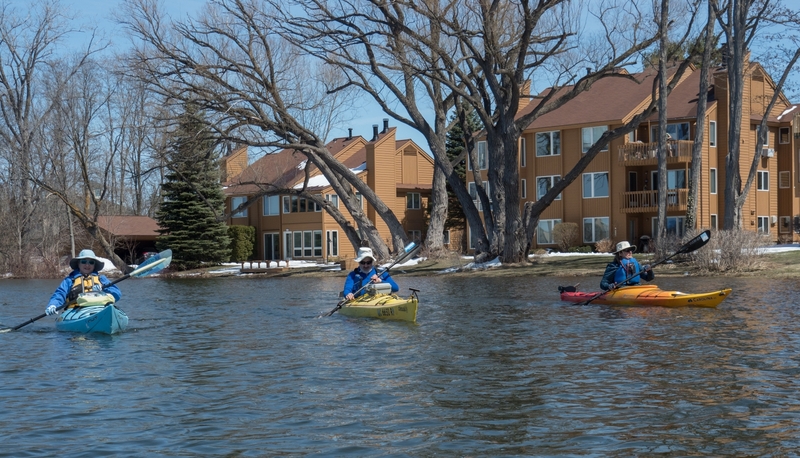 Finally it's paddling season, after the biggest snowstorms of the "winter" that came in April. Mother Nature came through with fabulous weather for Earth Day: sunshine, no wind and highs in the 50s. We headed out to Boardman Lake, along with Pam & Harold Lassers. 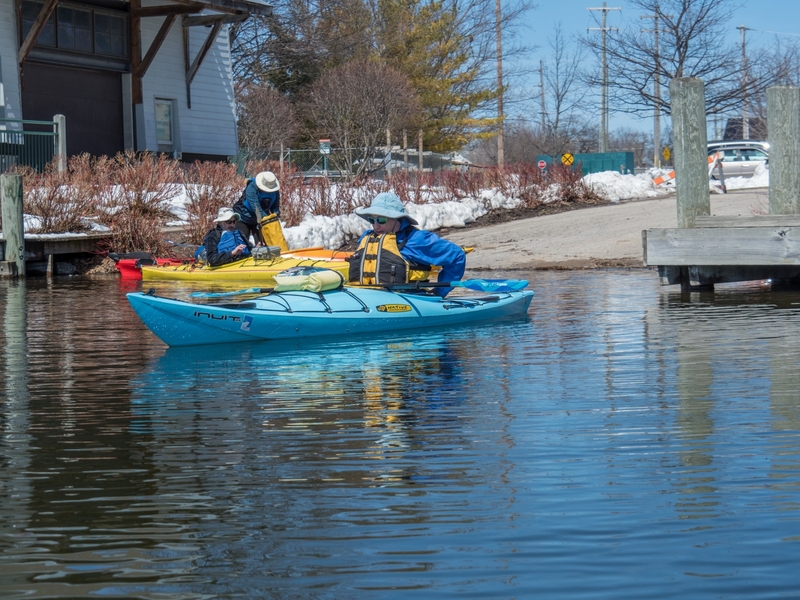 It's always a little dicey taking out the boats for the first paddling trip of the season. Will we remember all the stuff we need to take along? 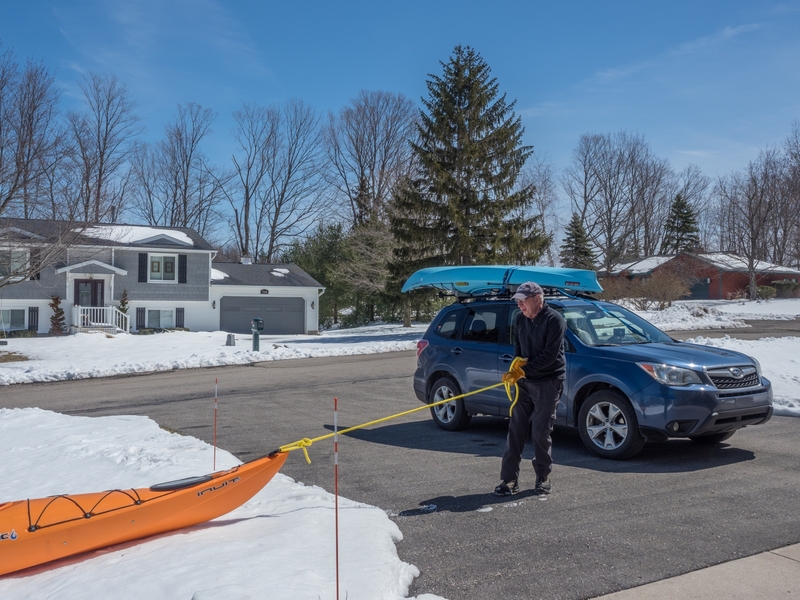 Will we load up the roof rack and tie on the boats correctly? Will we recall how to actually paddle? Most importantly, will we be able to get in and out of the kayak without falling in the water? Everything went smoothly, so no worries! We had the water pretty much to ourselves. There was one solo sailor on the lake - he was wearing a dry suit. We also saw a couple about to launch their paddleboards - wearing blue jeans and no PFDs. BRRR! 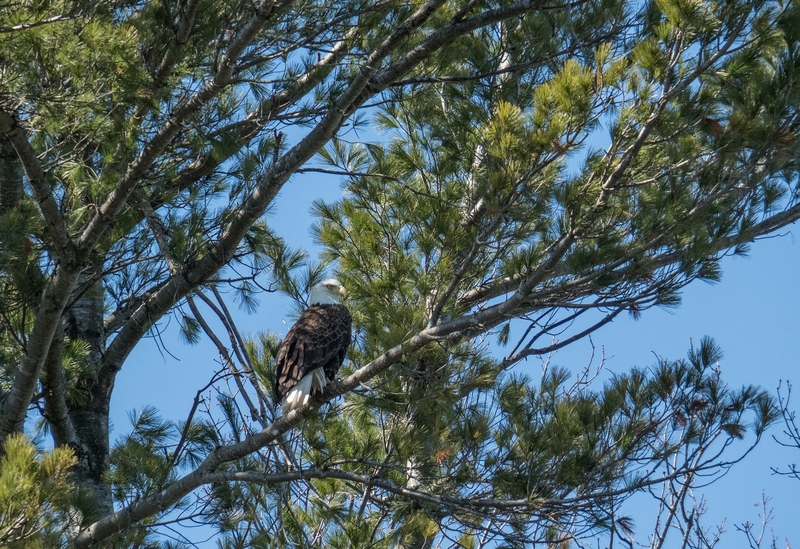 Lots of wildlife: swans, ducks and the resident bald eagle! It was a great afternoon with long time friends - John & I first met Pam & Harold exactly 40 years ago, a couple of weeks before we got married! 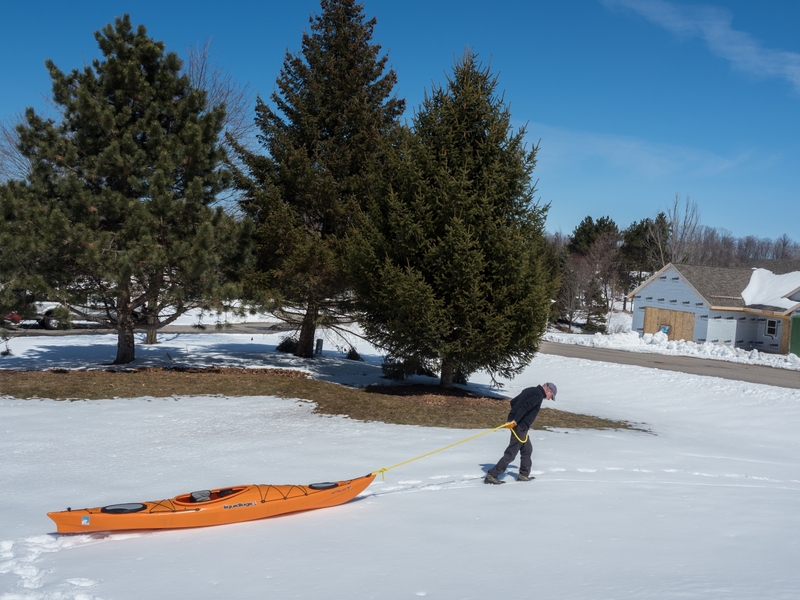 First: get the kayaks out of the walk-out basement; sliding them on the snow worked well! At least the snow is gone from the driveway.